Books, Bears, and Blankets Drive! 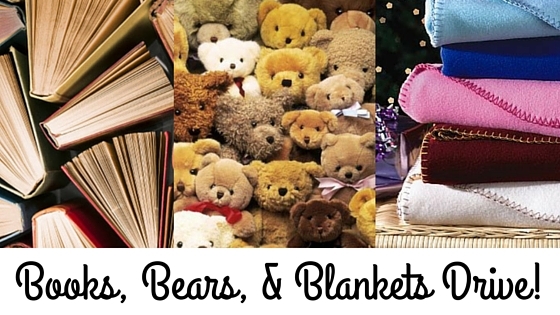 Shower the foster and homeless youth of our community with books, bears, and blankets this holiday season! Your contribution can make a lasting impact in the life of young person and remind them that Manteca is a thoughtful, inclusive community that cares about them. Everything donated directly benefits the foster and homeless youth in the Manteca community and will be given to the Manteca Unified School District Family Health Services Center for distribution. Raymus Homes’ goal is to collect 50 items to donate and we need your help! Please bring in new or gently used fleece blankets, books, and/or teddy bears to one of our offices listed below. We will deliver all items collected to Give Every Child a Chance (GECAC). Last day to donate is December 4. Questions? Please call the GECAC Program Office at 209.825.7003. Thanks in advance for your generosity and for making Manteca a better place to live for everyone!